Getting to know my clients, their business and their goals puts me in a better position to get their deal done in the most efficient way. I always try to avoid needless back and forth between the lawyers and work closely with my clients to make sure my focus in negotiations is what is truly important to them. Stephen Cooney focuses on representing buyers and sellers in negotiating and documenting the sale, purchase, lease, development, finance and operation of commercial properties. He also advises clients and negotiates deals concerning a wide range of other commercial real estate matters, including land use issues, deed restrictions, access to water resources and the formation and operation of property owners associations. 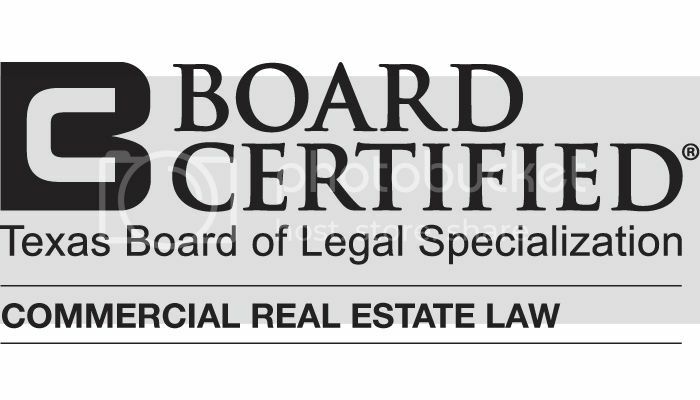 Stephen is Board Certified in Commercial Real Estate Law by the Texas Board of Legal Specialization. 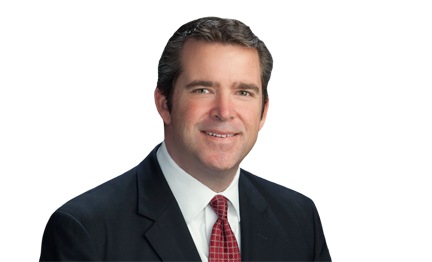 Stephen also serves as outside general counsel for clients across many industries, including real estate, manufacturing, distribution, and service providers. He personally handles nearly every issue his clients may encounter, including day-to-day operational issues, negotiating and drafting business contracts, asset and stock sales, business governance issues, the formation and operation of entities and strategic planning. Stephen also advises clients on matters in the areas of public law and government relations. Before joining Gray Reed, Stephen served as communications director and a senior policy advisor to former Harris County Judge Robert Eckels. While working in county government for 10 years, he gained extensive knowledge on local governmental issues including permitting, land use development and open records/meetings laws. Represented seller in the $17.3 million sale of the operating assets of five franchised restaurants. Represented seller in negotiating $13 million sale of six franchised restaurants. Represented oil field services company in $47 million stock acquisition of company that supplies syntactic foam products for use in offshore exploration and production; $20 million stock acquisition of manufacturer of deep water buoyancy systems. Represented seller in $23 million sale of radiation therapy services business. Represent clients in the oil and gas industry in negotiating master service agreements. Serve as outside general counsel to company that sells and distributes frac flowback water treatment systems. Serve as outside general counsel to rice milling company. Advise clients in forming and operating Texas entities - corporations, limited partnerships, limited liability partnerships, limited liability companies, including the preparation and negotiation of partnership agreements and LLC agreements. Represented seller in the $2 million sale of its office building and warehouse, as well as acquisition and development of new site. Represented pest control company in acquisition of commercial property in Houston to expand business. Represented seller in sale of pads in Bastrop, Texas for development of fast food restaurants. Represented buyer in acquisition of multi-unit complex in College Station, Texas. Represented oil field services company in lease negotiation of 215,000 square foot industrial facility. Negotiation of numerous commercial leasing transactions, including office leases, and retail leases throughout Houston. Advise clients regarding the formation and operation of property owners associations. Serve as General Counsel to the Airline Improvement District, a municipal management district created by the 79th Texas Legislature (HB 1458); advises the Board on all legal issues, including grants, contracts, real estate matters and open meetings/records laws, and advises on legislative matters. Represent investor owned water utilities; represents clients before the Harris-Galveston Subsidence District; advises on Groundwater Reduction Plan issues, and related water issues. Represented a company regarding wage-scale issues while doing business with the City of Houston, resulting in the waiver of all penalties totaling $42,000. Successfully appealed a client's removal from the City of Houston's Minority/Women Business Enterprise Program. Governing Board of the Children's Advocacy Centers of Texas, Inc.